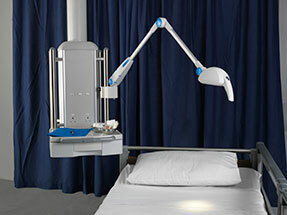 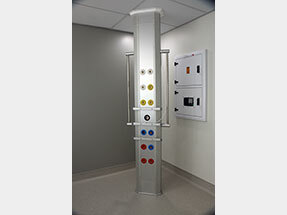 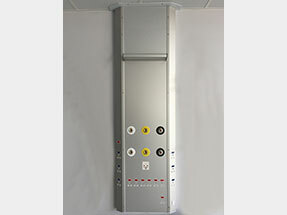 The HU19-01 is a floor mounted vertical bedhead service system, utilized where wall space is limited. 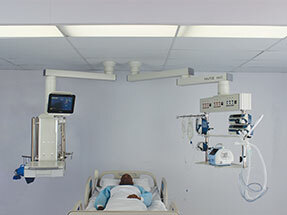 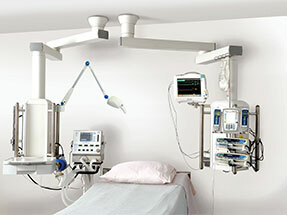 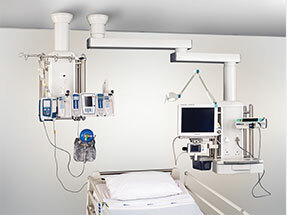 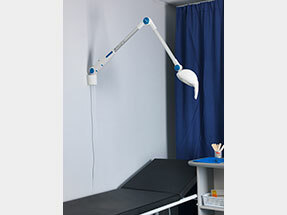 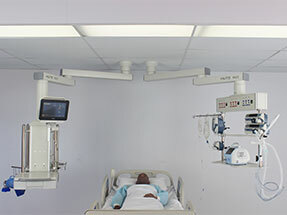 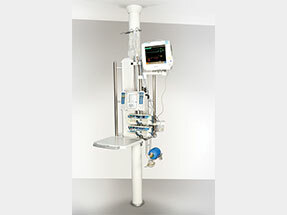 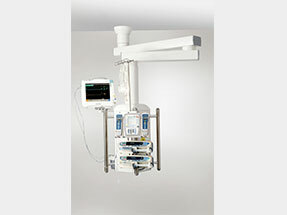 The HU19-02 is a floor mounted vertical bedhead service system, utilized where wall space is limited. 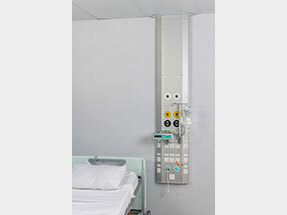 The HU19-03 is a floor mounted vertical bedhead service system, utilized where wall space is limited. 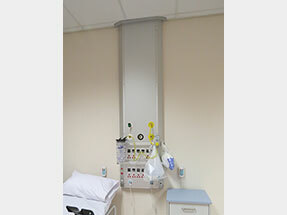 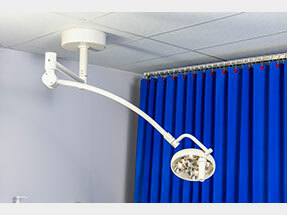 The HU21-01 is a versatile wall mounted vertical bedhead service system, with a width of 360mm. 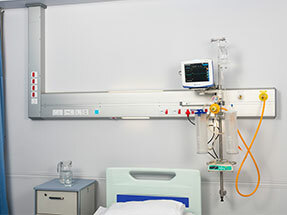 The HU21-02 is a versatile wall mounted vertical bedhead service system, with a width of 560mm. 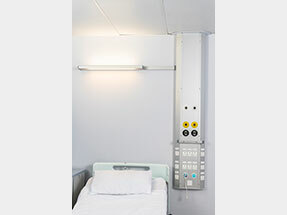 The HU21-03 and HU21-04 are versatile wall mounted vertical bedhead service systems with luminaires. 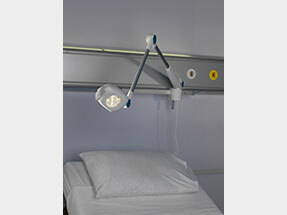 The HU21-05 and HU21-06 are versatile wall mounted vertical bedhead service systems with luminaires. 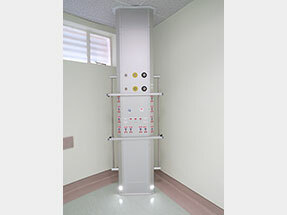 The HU4-FF is a compact floor to ceiling pendant solution offering a 250kg payload. 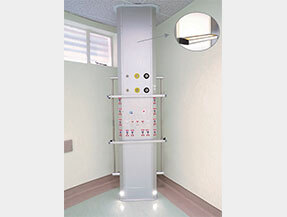 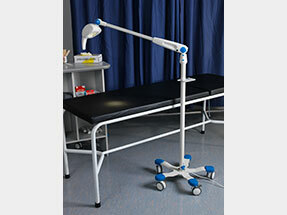 The HU4-FFR is a compact floor to ceiling pendant solution with rotating service column, offering a 250kg payload. 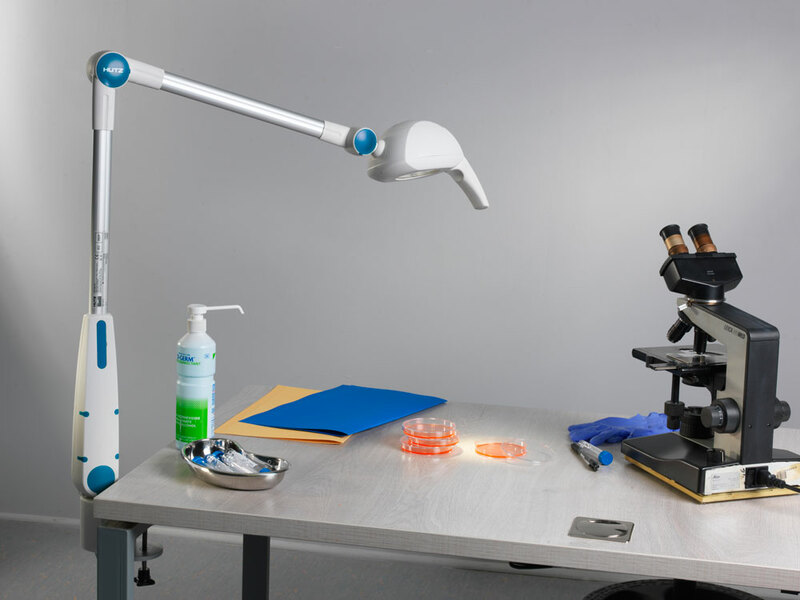 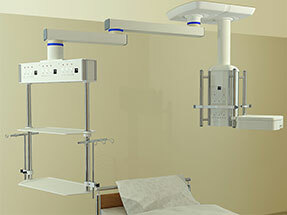 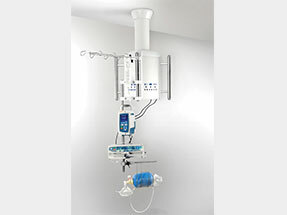 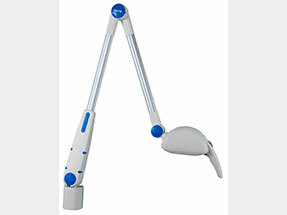 The HU5-T22 is a tandem mount pendant service system with two dual arm articulated vertical service columns. 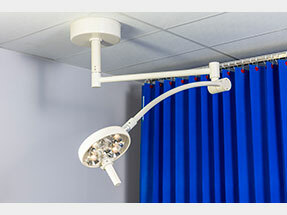 The HU8-F is a ceiling pendant solution to provide Supply Services within the high dependency environment. 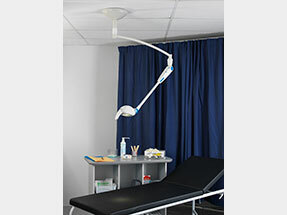 The HU8-FR is a ceiling pendant solution to provide Supply Services within the high dependency environment. 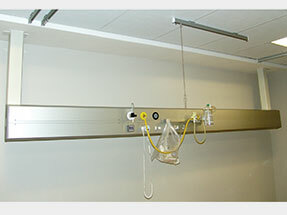 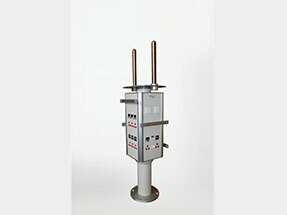 The HU8-FSP-01 is a floor mounted pendant service system, with a payload of not more than 60kg.